Thank you so much for these words of wisdom. Recently as a Rehabber myself I had to bring an animal to the vet and while there make the tough decision. I stayed until he passed. The sadness was immense for such a young life. But as stewards of wildlife, it is necessary to make the humane decision. Hi Yetta! You are fortunate to have a vet to help you with wildlife. It is illegal here for vets to treat wild animals and very difficult to find one who will give advice or information. A couple of times FD and I had to make the decision ourselves to end life for an animal that was suffering. 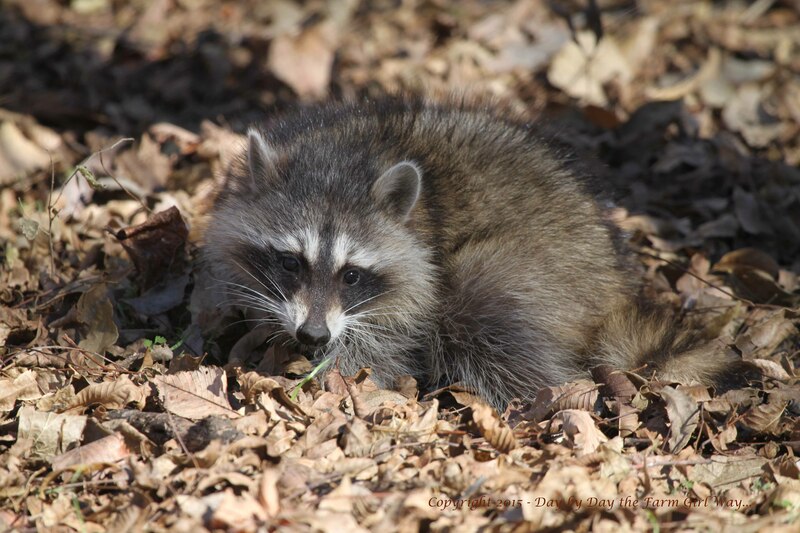 I was thankful to learn a little bit about raccoons and about distemper while I was at Wildcare that morning. I also observed how the raccoon was handled by the staff person. She was very informational about feeling and looking for injuries, ways to hold the animal safely while keeping it as calm as possible. I would love to intern there, but it’s quite a drive (over an hour to get there). I do a lot of research online of course – but it sure was nice that day to get a bit of an education. I know you experience the same things, and as you say, as stewards of wildlife, it is a responsibility we make with humaneness.